This style, with the curved neckline, looks really old. Those are great ideas. Now if only I had some of those jars. This is one of the oldest I have. 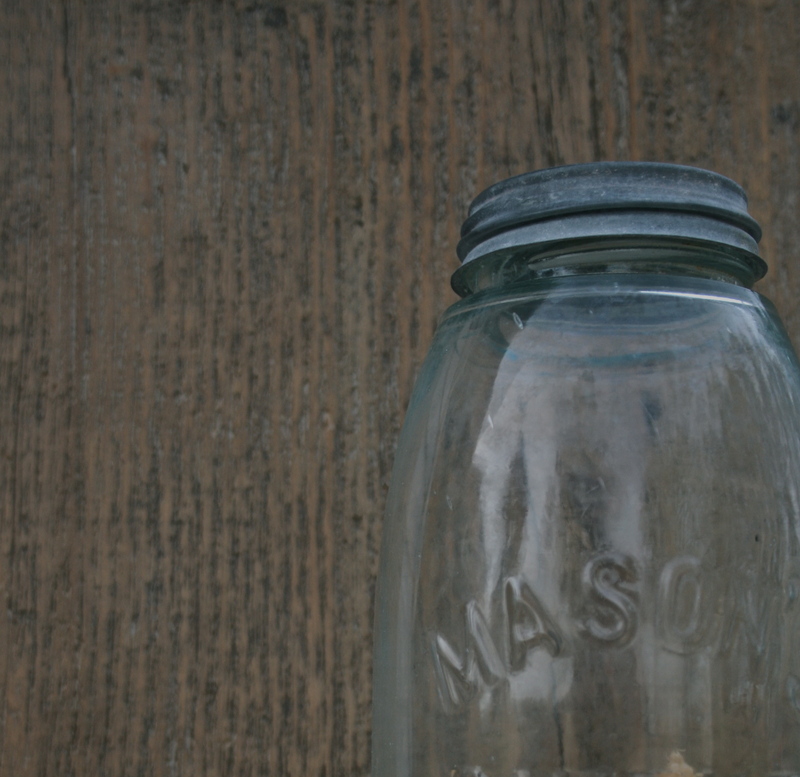 These old jars fit my definition of “rural practicality”! My son-in-law made me a snow globe out of an antique jar last Christmas…and gave me a box of them he picked up for a song at a yard sale! Yes she did…..I love old ornaments in them, but something about red and white candies with the aged blue–so pretty–my favorite!